What do you do if your alley is strewn with garbage after the sanitation truck comes through? Or if you’re tired of the rowdy teenagers next door keeping you up all night? Is there a vacant lot on your block accumulating weeds, needles, and litter? For a century, Chicagoans have joined block clubs to address problems like these that make daily life in the city a nuisance. When neighbors work together in block clubs, playgrounds get built, local crime is monitored, streets are cleaned up, and every summer is marked by the festivities of day-long block parties. 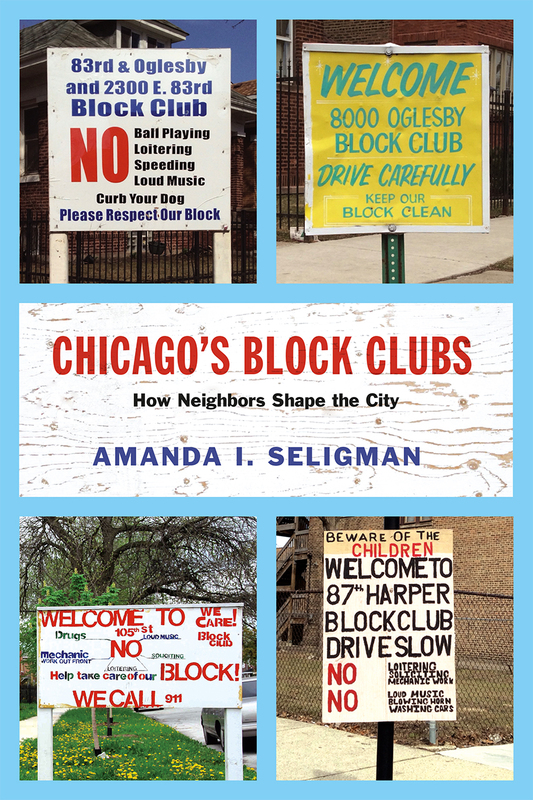 In Chicago’s Block Clubs, Amanda I. Seligman uncovers the history of the block club in Chicago—from its origins in the Urban League in the early 1900s through to the Chicago Police Department’s twenty-first-century community policing program. Recognizing that many neighborhood problems are too big for one resident to handle—but too small for the city to keep up with—city residents have for more than a century created clubs to establish and maintain their neighborhood’s particular social dynamics, quality of life, and appearance. Omnipresent yet evanescent, block clubs are sometimes the major outlets for community organizing in the city—especially in neighborhoods otherwise lacking in political strength and clout. Drawing on the stories of hundreds of these groups from across the city, Seligman vividly illustrates what neighbors can—and cannot—accomplish when they work together.